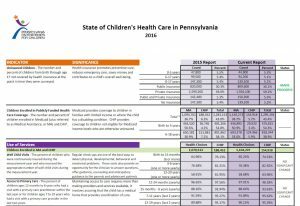 The 2016 “State of Children’s Health Care” data shows more than 139,000 Pennsylvania children – or about 1 in 20 – still lack health insurance, a statistic that has remained relatively unchanged in recent years despite the commonwealth’s longstanding goal of providing “universal coverage” for all documented children. 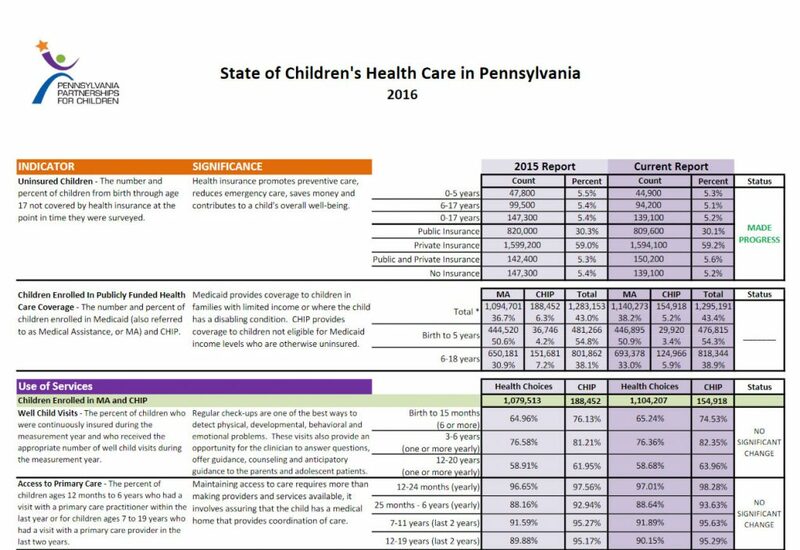 Even among children who are insured through programs like Medicaid and CHIP, there are health care challenges that need to be overcome, as many of these children still are not receiving timely screenings, vaccinations and routine check-ups. In addition to a one-year comparison of children’s health statistics, we also have done a five-year comparison to present a long-term view of how children are accessing health care in the commonwealth.